There are many different reasons why you should have your locks changed. Naturally if your keys or lost or stolen, but don't forget, whenever you buy or move into a new property you should always have your locks changed by a reputable, well known and established locksmith. Take buying a new home for instance, the people you bought the house from could be the nicest people in the world, but the problem is that over the years of their occupancy, there were many different people that have had access to their keys, like family members and relatives, neighbors, contractors etc. It is peace of mind and like an insurance policy to start fresh, with new keys. It is bad enough that there are criminals out there using force to break into your home, so you do not want someone just walking in using an old key. 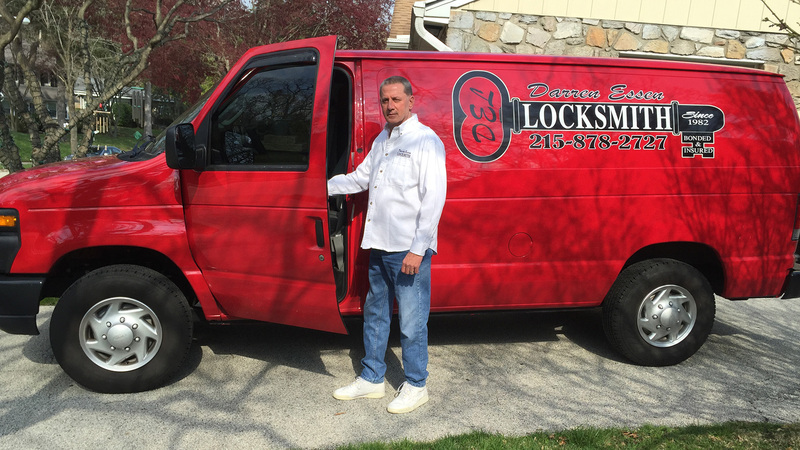 Darren Essen locksmith services most brand-name locks to efficiently handle your needs in a professional and timely manner. Call Darren Essen locksmith, the name to know and trust for all of your lock rekeying needs since 1982. Call 215-878-2727.